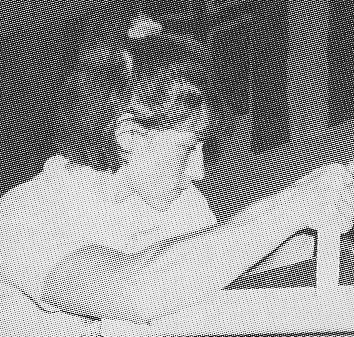 The 1990s was a decade that saw significant international growth for the sport of armwrestling. The continuing spread across the world led to the emergence on new elite female pullers. While the list of the Top Women of the ‘80s consisted exclusively of North American athletes, one third of the ‘90s list is comprised of pullers from Eastern Europe. The events that most solidified a puller’s standing in the ‘90s were the major international tournaments like the annual Golden Bear tournament in Russia, the European Championships, and the World Armsport Federation (WAF) World Championships. There were also many big professional tournaments that also attracted top talent, including the Yukon Jack World Championships (1990-1996), the Super Bras-de-fer tournament (1991), the Main Events (1997-1998), and the Forsa Tropical tournament in Curacao (1998). Of course, titles won at various national championships, Arm Wrestling International (AWI) world championships, and at the World’s Wristwrestling Championship (WCC) in Petaluma were also major accomplishments. Based on my analysis of the results I’ve managed to find, I believe the following women were the top 15 female pullers on the 1990s. A lightweight puller from western Canada, Shirley Isaac was a considerable force at the table in the early-to-mid-‘90s. She won multiple national titles and tested herself around the globe. 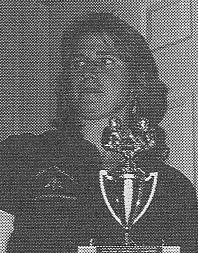 She won a Golden Bear international title in Moscow in 1993, a WAF world title in Switzerland in 1992, and three WWC wristwrestling world titles in Petaluma between 1992 and 1996. 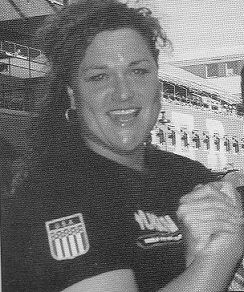 Maryland’s Kathy New was among the top American super-heavyweights during the ‘90s. She won five AAA Stand-Up National titles between 1990 and 1997. While she did not win any major international titles during the decade, she was a three-time silver medalist at the WAF World Championships, where she beat all of her opponents except for a couple of women who appear near the top of this list. A 110-lb puller from Michigan, Karen Cooley’s right arm was particularly strong. 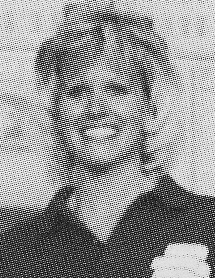 She won six AAA national titles with it between 1992 and 1999 (mix of sit-down and stand-up competition). 1999 was a banner year for her -- in addition to winning a AAA national title, she also won a WAF world title and the women’s class at the Arnold Classic. Perennial promoter and competitor Mary McConnaughey racked up a slew of major titles in the ‘90s. Among these were 10 AAA national titles between 1991 and 1999, a WAF world title in 1999, and super-heavyweight titles at both Main Events (the biggest American professional tournaments of the late ‘90s). On top of all this, this Nebraskan won the AAA Armwrestler of the Year Award in 1992. Another 110-lb puller to experience major success in the ‘90s was New Jersey’s Chrissy Baliko. Equally adept with both arms, she won AAA national titles in 1995, 1996, and 1997. But more impressively, she won six WAF world titles between 1993 and 1997 (three per arm)! One of two Belarusians to make the list, Elena Kondratova won several major international titles in the mid-to-late ‘90s. Competing in the always tough 132-lb class, between 1995 and 1999 she won no less than four European titles, three WAF world titles, and an incredible four Golden Bear titles in a row! 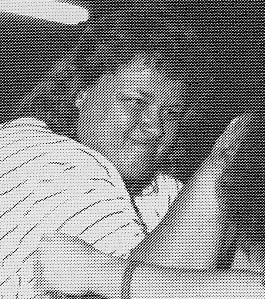 Another strong woman from Nebraska, lightweight puller Margie Cziria was very active during the ‘90s and won several major championships. 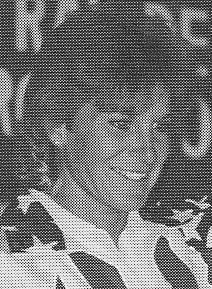 In addition to winning 10 AAA national titles between 1992 and 1999, she won three WAF world titles in 1994 and 1995. She also won a Main Event title in 1998. Heavyweight puller Irina Turchinskaya was one of the first elite Russian female pullers. She competed predominantly during the early ‘90s, a time in which she won major titles around the globe. Between 1991 and 1994, Irina won a European title, six WWC world titles, at least three Golden Bear titles, and three WAF world titles! 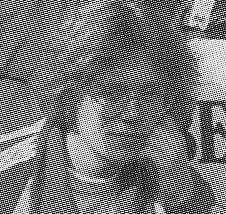 The most successful female Belarusian puller of the ‘90s was a middleweight by the name of Ludmila Shestakova. Between 1997 and 1999 alone, she won no fewer than five European titles and four WAF world titles. And despite giving up significant weight in the unlimited class of the 1999 Golden Bear tournament, she managed to finish in an impressive second place. One of only three pullers to be featured in both the Top Women of the ‘80s and the Top Women of the ‘90s lists, Massachusetts’ Grace Ann Swift’s record in the ‘90s was very similar to record in the ‘80s: simply stellar. To say 1990 was a good year for her would be a bit of an understatement. That year she won AAA Sit-Down and Stand-Up national titles, a WAF world title, an AWI world title, and the inaugural Yukon Jack National Championships! After then taking take a break from the sport for a few years, she returned and won another three AAA national titles and another WAF world title in the mid-‘90s. Russian heavyweight Albina Gusalova first started pulling in 1994, and you can safely say she took quickly to the sport. During the second half of the ‘90s, she won three European titles, three Golden Bear international titles, and WAF world titles five years in a row! The second puller to make the both the ‘80s list and the ‘90s list, Quebec’s Liane Dufresne’s record during the last ten years of the 20th century was astonishing. She experienced a decade of dominance in Canada, winning national titles every single year. In addition, she won six WAF world titles between 1992 and 1998. Other highlights include titles won at the 1994 Golden Bear international tournament and at the one-time Super Bras-de-fer pro tournament in France in 1991. 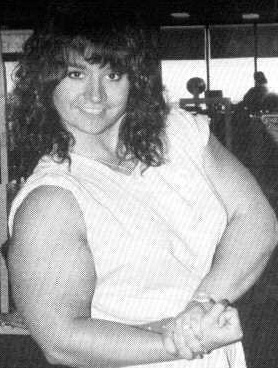 Ontario’s Barb Zalepa was arguably the most dominant right handed lightweight female puller of the ‘90s. But her left arm was pretty good, too. In fact, she competed in the Canadian National Championships five times between 1993 and 1998, and each time she easily won titles with both arms. She won three right hand WAF world titles in three appearances and also won a left hand title along the way. She also won titles at several of the top pro tournaments of the era, including the 1998 Forsa Tropical event in Curacao, both Main Events, and at least two AWI world titles in Las Vegas. How strong was Barb? Well, one time she decided it would be fun to compete in the 135-lb men’s division at an Ontario tournament in early 1998. The class included strong competitors, including the reigning provincial champion at that weight as well as a two-time national champion. She won the class! Who was the best female puller of the ‘90s? I’m not sure. 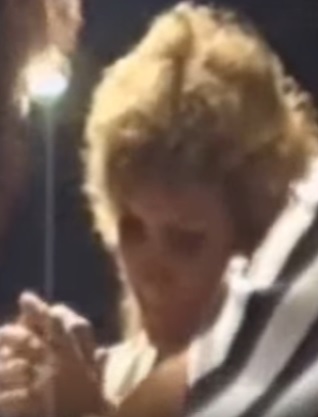 But I’m confident it was either California’s Dot Jones (who was also the top puller of the ‘80s) or Russia’s Vika Gabakova. Both were dominant super-heavyweight pullers, and as far as I know, both had perfect records during the decade. Unfortunately, they never faced each other. While Vika was travelling to the WAF World Championships in the mid-‘90s, by this time Dot wasn’t competing as much, and focussed primarily on attending tournaments that offered cash prizes, such as the professional Yukon Jack World Championships. Left or right, it didn’t matter – they beat all of their opponents. It’s difficult to say who would have won between these two titans. Both have their share of supporters who swear by their strength. 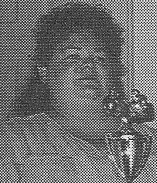 Among her accomplishments, Dot won four WWC world wristwrestling titles in a row between 1990 and 1993 (added to the seven she won in a row in the ‘80s, she has the all-time record for consecutive world title wins in Petaluma). She also won six Yukon Jack Championship titles in a row. Vika’s phenomenal résumé for the decade includes two WWC world titles, 10 Golden Bear international titles, 10 European titles, and 12 WAF world titles! And all of these titles were won between 1994 and 1999!